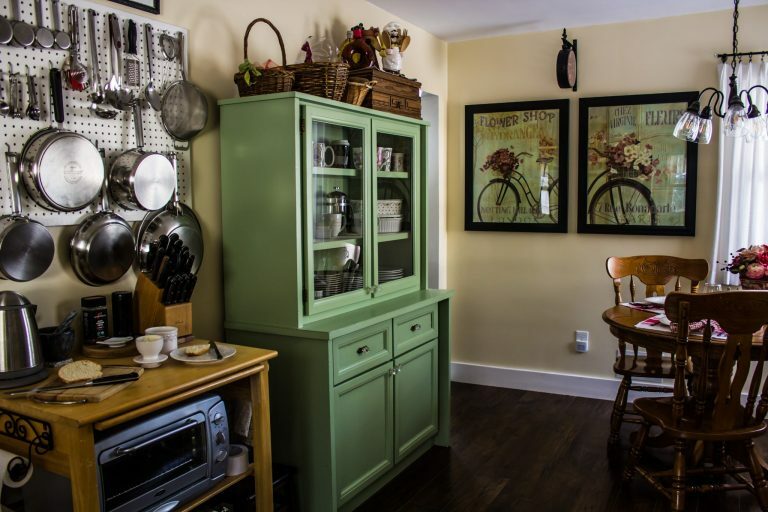 When you go through all the work to completely renovate your kitchen, you expect it to be the star of the show. You hope your friends will ooh and ahh over all your hard work because you put your heart into it. At least, that’s what I expected, but you know what? There is scene-stealer in my kitchen, and it is upstaging my new kitchen big time. 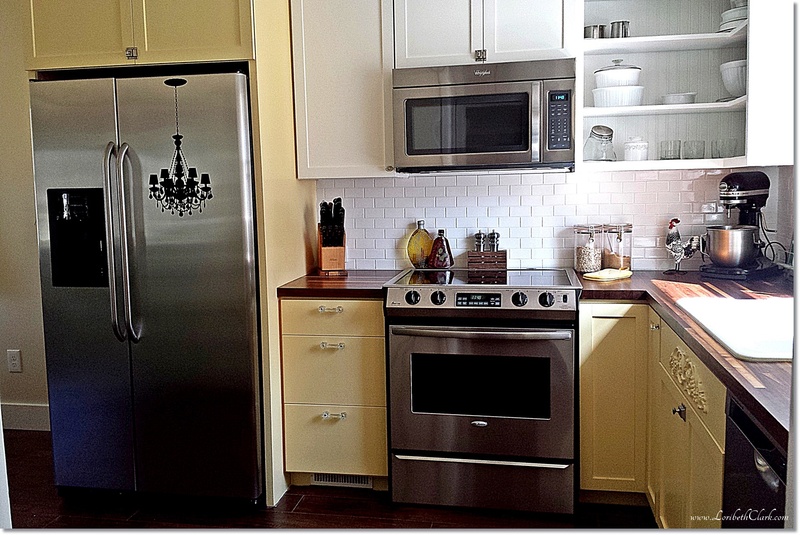 The completely renovated kitchen is being upstaged. Yep, it’s pretty darn near perfect. So why is it that one piece of furniture gets most of the attention? I don’t know, but it’s true. There’s a piece of furniture that’s stealing the show, and taking attention from my beautiful custom cabinets. That piece of furniture is a china cabinet I’ve had for years, long before I met Jim. It was given to me by someone who didn’t want it anymore, and I happily took it. I haven’t always necessarily loved it, but it has served its purpose. Truth be told. It isn’t anything special. It started its life in a 1970s mobile home, and when I got it, it was ugly, made of cheap wood and Formica–very blah looking. But it was big and could hold all my china. So I painted it white and refinished the doors and drawers. I did my best to make it look… well, let’s just say it looked better, but it was not a scene-stealer by any means. 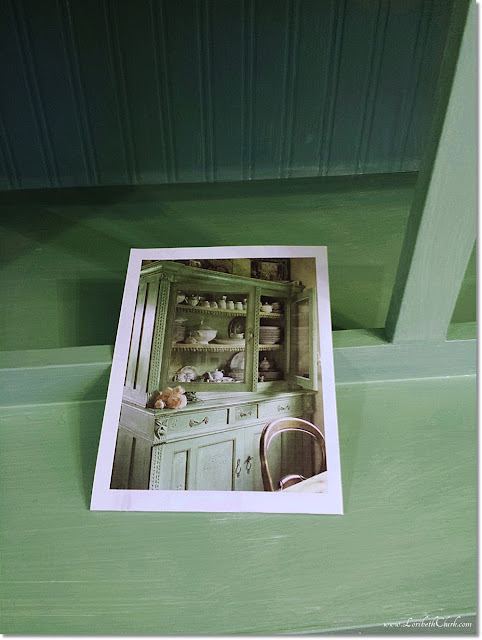 After my former husband and I bought a house, we painted the china cabinet dark, dark hunter green, because the white was too stark for the dining room. Stop laughing! Dark hunter green was very popular at the time! I’m sure I have a picture of it somewhere, but it’s probably in our basement somewhere in a box. Not long after I moved into my apartment, I painted it black and updated doors and drawers by painting the centers black too. It had kind of an urban look to me. It still wasn’t a scene-stealer, but I was happy with the way it looked for the time I lived in my apartment. How it looked right before it went into storage. 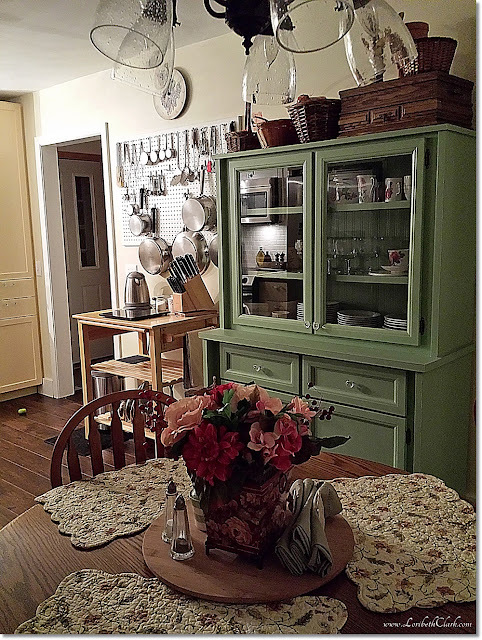 When I met Jim, it was clear my large china cabinet was too big for his little house, so we put it into storage with the idea I’d eventually get rid of it. 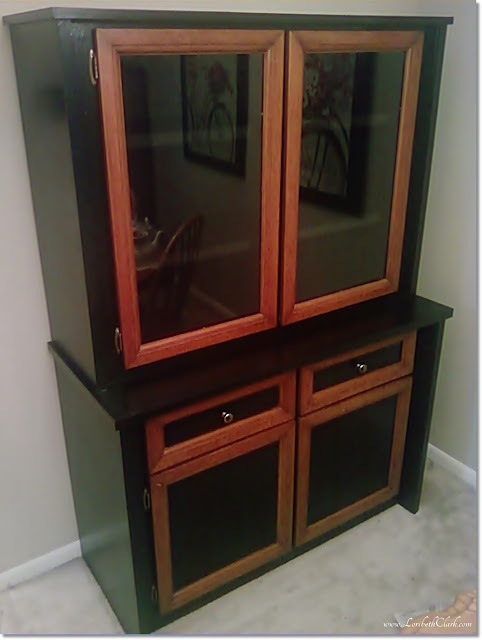 Of course, I didn’t end up getting rid of it, even though I bought my beloved white china cabinet to replace it. I’m not sure why I held onto it. For some reason, I just couldn’t let it go. In hindsight, I’m glad I didn’t, because it is obviously perfect for our new house. Using it in the kitchen was always in my design plan for our new kitchen. But I knew it would need to be painted because the black wasn’t going to work. I wasn’t sure what color I wanted to paint it. All I knew was I wanted the kitchen to be cheerful and light, and a black china cabinet wasn’t going to cut it. The picture that inspired the color and its new look. I thought about painting it yellow, but decided I wanted it to be an accent piece rather than blending with the kitchen cabinets. (I guess that should have been a clue.) So I found an inspiration picture on Pinterest and got to work. I added some beadboard wallpaper to the back to give it some texture and character. 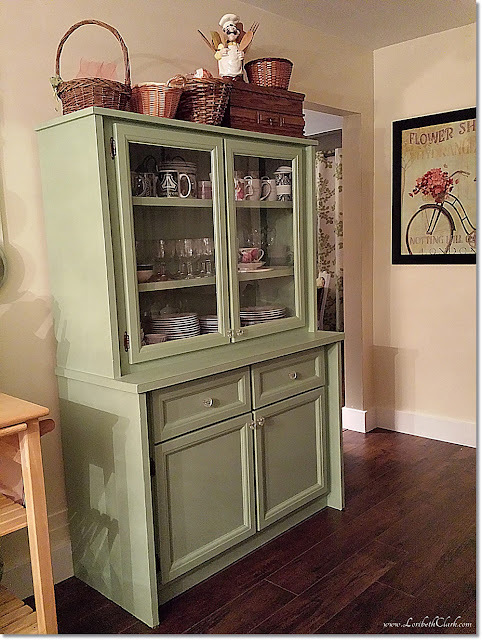 I decided it was time to get rid of the stained accents, so after priming it, I painted the whole thing, including the doors and drawers, an unusual shade of green. A frickin’ hard to photograph color of green, that I love even if it always looks wrong in pictures. What’s funny is my printer printed the color of my inspiration picture wrong, so it isn’t the color I had fallen in love with when I found my inspiration. The color of that picture on Pinterest is much more yellow, and not even close to the color that I got. My fault, because I didn’t even check the color when I printed it, I just shoved the picture into an idea folder, and then picked out paint based on what I printed. But it was a happy mistake because I do love the color now. It goes great with the two prints I hung in the kitchen. I never dreamed when I painted it the wrong color that it would end up stealing the show and upstaging my new kitchen. I really just planned on it being a usable accent piece–something that I would probably sell once I found a piece I liked better. Now I can’t imagine it not being in my kitchen. Sure…It’s a scene-stealer and totally upstages my kitchen. But it gives the kitchen some unexpected character that makes the kitchen extra special, and that makes it the star. And you know what else? I actually do love it now. 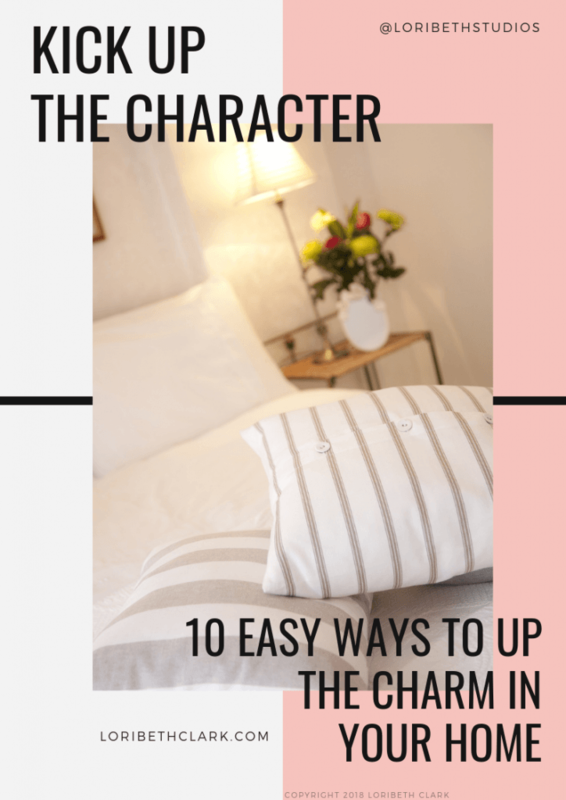 Do you have any unexpected scene-stealers in your home? PrevPreviousWhat a difference a year makes! I lover it. Love the color as well. Thanks! That is one color mistake that I'm glad I made!